This triple thick save the date card features a laurel wreath that prints in the same ink color as your personalized text. Your personalized text is printed underneath in your choice of font, color and print method. 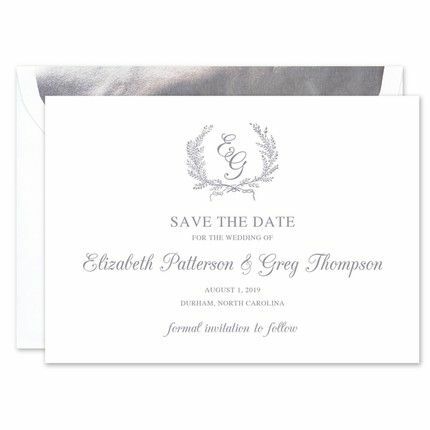 Shown with optional monogram, Champagne.